The construction contract for the Port of Miami Tunnel was awarded to Bouygues Civil Works Florida. Twin tunnels, one eastbound and one westbound, extend from interstate I-395 on Watson Island to the Port of Miami on Dodge Island. The forty-three foot diameter tunnels were bored in limestone using a TBM. Five cross-passages for emergency egress were proposed to connect the two tubes after the tunneling was completed. For Cross Passages 2 and 3, located eighty to one hundred and twenty feet below sea level, ground freezing was selected to provide ground stabilization and water cut-off. For each cross passage, freeze pipes were installed in a double ring around the proposed excavation; forty-five pipes for CP-2 and forty-eight pipes for CP-3. 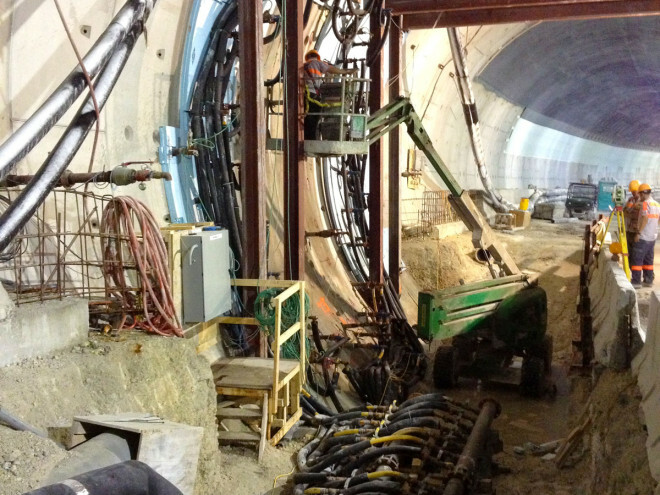 The pipes were drilled horizontally from the eastbound tunnel approximately fifty feet deep. 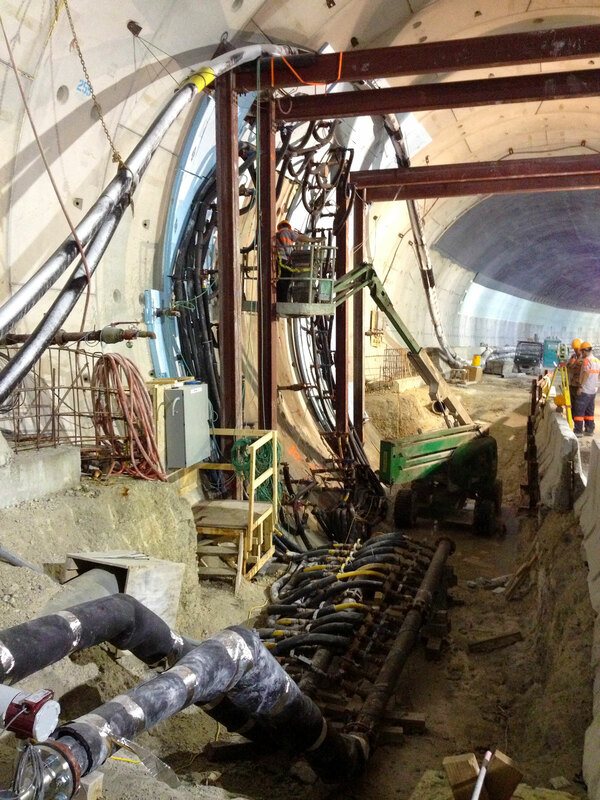 A system of contact cooling pipes was installed on the sidewall of the westbound tunnel to cool the tunnel liner and ensure a continuous frozen cylinder between the eastbound and westbound tunnels. 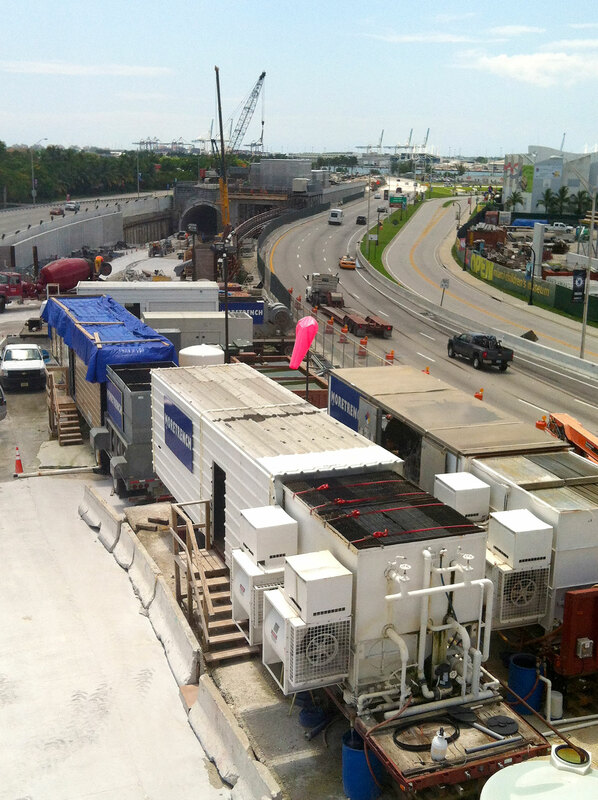 The main ground freezing system was powered by four 400 horsepower mobile refrigeration plants that were installed, operated and maintained in the median of Interstate I-395, nearly one half mile from the farthest ground freezing location. The plants, two primary units and two standby units, were electrically powered and utilized anhydrous ammonia as the primary refrigerant to refrigerate the calcium chloride brine coolant. 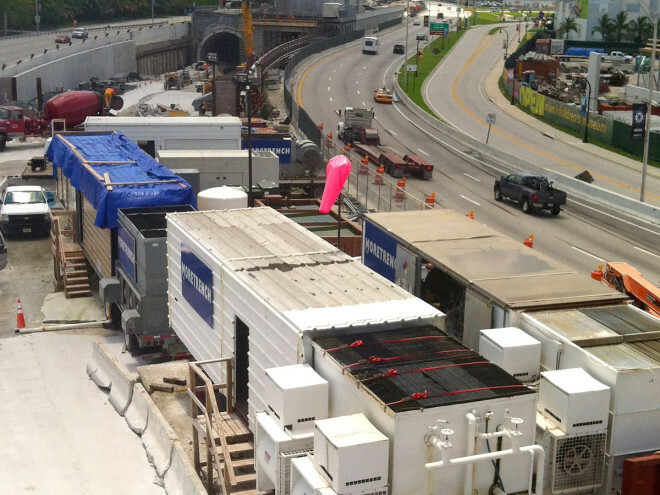 The contact cooling systems used two twenty-two horsepower skid-mounted refrigeration plants that were installed, operated and maintained inside the westbound tunnel. 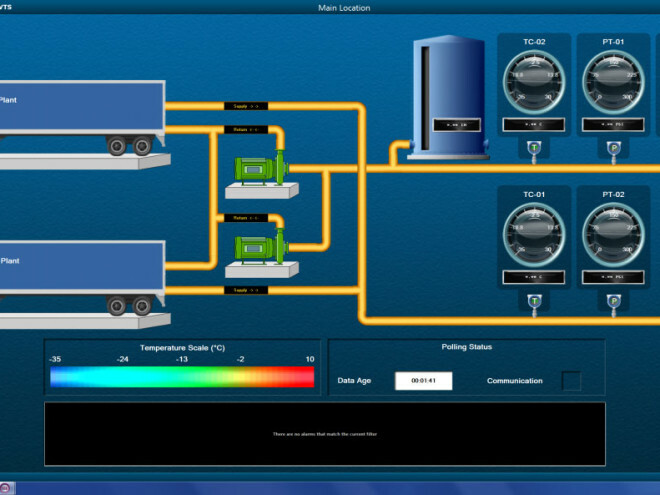 The units were electrically powered and utilized R404A as the primary refrigerant to chill the propylene glycol coolant. The ground freezing system was operated for approximately six months during the freeze formation and mining of the cross passages. 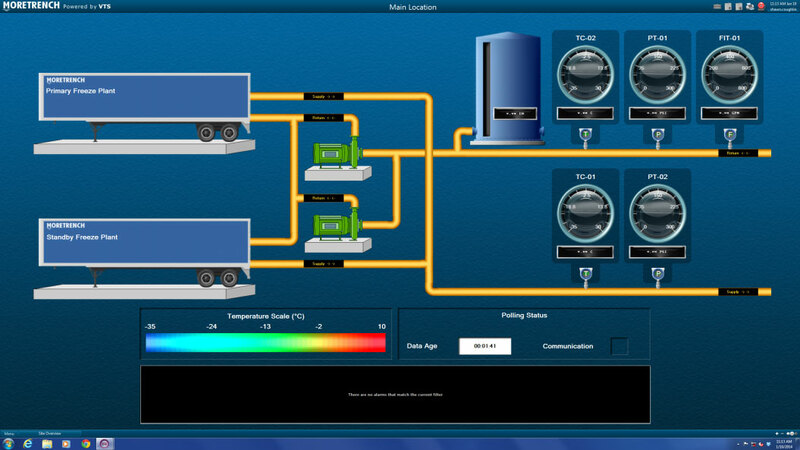 A computerized instrumentation system, designed by Moretrench, was installed and remotely monitored to ensure frozen ground conditions before and during mining. 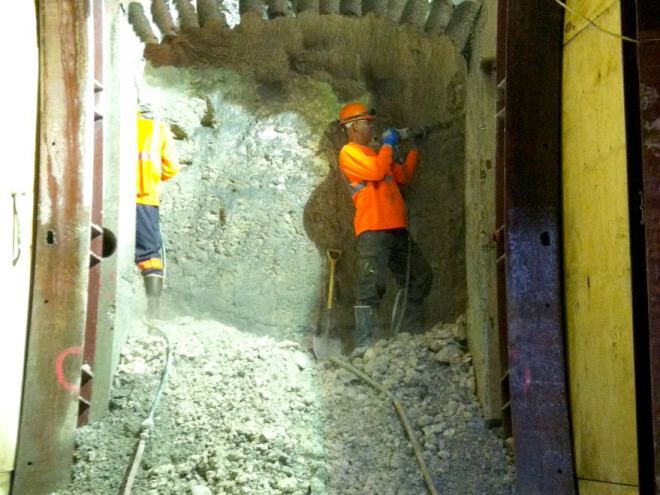 The use of ground freezing successfully permitted safe and efficient mining operations for the cross passages. 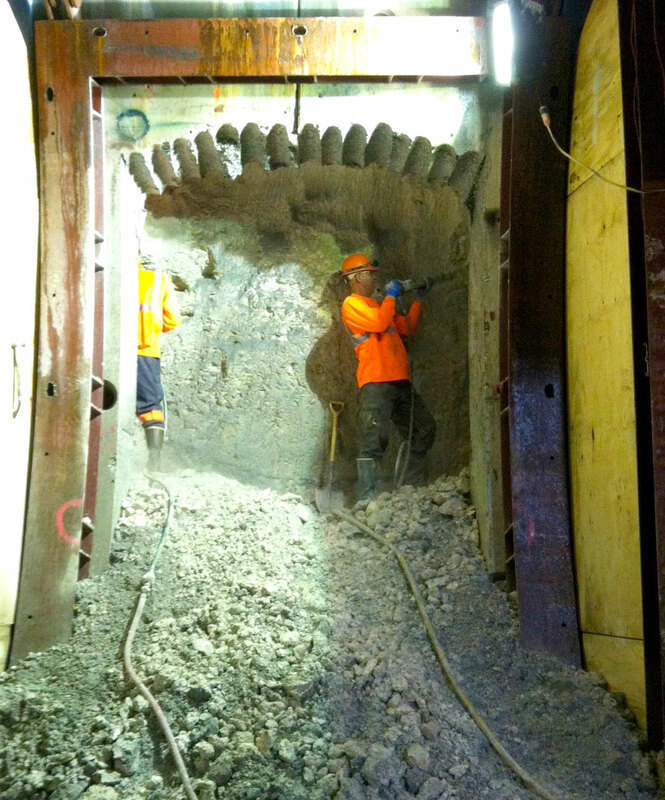 The passages were lined with steel ribs and shotcrete as mining progressed. This was followed by installation of a permanent waterproofing system and a final cast-in-place concrete liner. The project was completed on time, within budget and without any adverse heave or settlement to the surrounding structures.